Thank you for speaking at the PH Republican Women's Federated. Your presentation was riveting! We all received much more than we were expecting. We learned so much about this country we all love. We can't wait to have you back! We want to THANK YOU for your wonderful, passionate and patriotic presentation! It was so informative, interesting and inspiring! We didn’t want you to stop! We learned so much—love your quotes too! We can’t thank you enough for speaking to us and I can hardly wait to read your fabulous books! 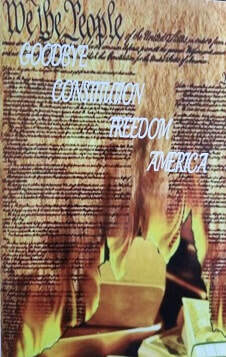 We must learn from our American history and our Constitution so we can keep our Republic! We appreciate you and thank you again! We heard Speaker and Author Don Jans speak at our last Republican Women’s Luncheon and he was absolutely riveting! He gave us the history of the United States in an incredible fashion and in about 30 minutes. It was a most unusual approach to the subject, but we could not take our ears off of him during that time! He has written three books, “My Grandchildren’s America”, “The Road to Tyranny: Individualism to Collectivism” and “Goodbye Constitution, Freedom, America.” I have all three. After his talk, I asked him if he had ever spoken in public schools. “I have never spoken in any public school. They have effectively banned me.” I commented that that was ridiculous as what he spoke about was neither radical or racist. Perhaps the public schools thought it was too radical, too revolutionary for little ears to hear. It was, after all, just the history of the United States. "THE UNITED STATES WILL BE FUNDAMENTALLY TRANSFORMED"
Review of "The Road To Tyranny" "Your definition of Individualism and Collectivism was clear and relevant. I had heard about the slippery slope before, I now understand what it is and that it is real. You made so clear how our freedom and liberty are under attack. The book was easy to read and to understand. I really appreciate that you did not resort to “bumper sticker” attacks but stayed with reason and facts. I have purchased more books to give to people who would never otherwise be aware of what is happening. 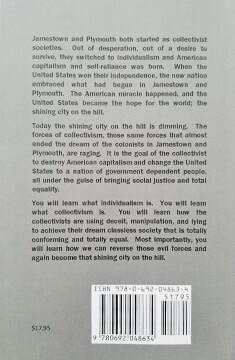 Don Jans latest book: THE ROAD TO TYRANNY, INDIVIDUALISM TO COLLECTIVISM” Is the book that should be used in every American school. It's how America became the greatest Nation on earth. The planning it took from the Declaration of Independence to the constitution. A fool proof design where all it took was to not deviate from what the framers had written for "We the People" This book points out what is now happening to the safeguards that were set up to keep America the land of the free. A must read for teachers, parents, and children. 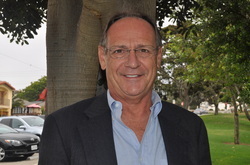 DON JANS IS A NATIONALLY ACCLAIMED SPEAKER AND AUTHOR CONTRASTING THE POLICIES PROCLAIMED BY KARL MARX WITH THE PRINCIPLES UPON WHICH OUR NATION WAS FOUNDED; INDIVIDUALISM, RULE OF LAW, LIMITED GOVERNMENT, DIVIDED GOVERNMENT, AND SOVEREIGNTY OF THE PEOPLE. HIS STYLE IN BOTH SPEAKING AND WRITING IS STRAIGHTFORWARD. DON DOES NOT TELL YOU HOW TO THINK, BUT GIVES YOU THE FACTS SO YOU CAN DETERMINE FOR YOURSELF WITH WHOM YOU AGREE. presented. Your explanation of Marxist ideology was as clear as any I have ever heard. It would be an honor to have you on again. ANYWHERE, ANYTIME TO SPEAK TO GROUPS, SO DO CONTACT HIM TO MAKE ARRANGEMENTS. Hi Don, it was most enjoyable and interesting to listen to you speak to our Club. Your knowledge and insight of the current political situation in our country is very impressive, and so are your studies in European history as well as Marxism. i have read your books and they are fascinating. We would like to thank you for your excellent and powerful presentation. if you are still available towards the end of the year we will most likely call on you again. Don, You are the BEST public speaker I have ever heard. That is no exaggeration that is 100% true. You are even better than Mark Levin (KABC) so that is saying something. Outstanding job! It looks like you are local, so .......... college in ........... in the ............................. should not be too far for you to travel. I will look at the schedule for spring and see what days we can arrange for your visit. I will be discussing Socialism and Capitalism in about 3 weeks. I know my students will enjoy it. Let me know if this time is good for you. "I really like your style and found it compelling. Great reads that capture the reader and profound in terms of being informative while raising serious concerns. The author has done his homework. I like the format the author chose as it brings some personal nature to the read"
"I don't trust either side, too much spin. My wife cajoled me into starting these books. The author captured me very early with his intriguing yet factual style. I now have a solid basis to cut through the nonsense of both sides and come to my own conclusions."